Anne from Brisbane has come in the Top 30 for the Lurpak Challenge with her Nana’s Walnut and Date Slice . 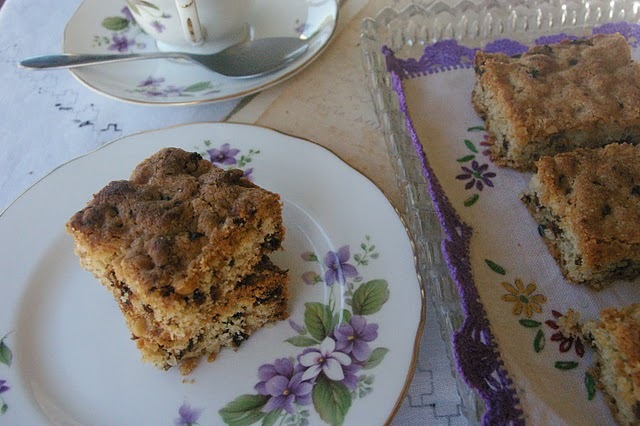 Click on the link to Anne’s Blog ‘Domesblissity‘ to vote for her slice and have a look at the old recipe her Nana wrote out and she still uses today. I love the way Anne used her Nana’s china and linen for the photo as well. Good luck with your entry Anne!!! !